What is your biggest frustrations about trying to lose weight? Skip ahead at anytime by clicking the video topic from the menu below. Skip ahead at anytime by clicking the video topic you’d like to learn about from the menu below. Alirezaei, Mehrdad, et al. “Short-Term fasting induces profound neuronal autophagy.” Autophagy, Landes Bioscience, 16 Aug. 2010, ncbi.nlm.nih.gov/pmc/articles/PMC3106288/. Zhu, Y, et al. “Metabolic regulation of Sirtuins upon fasting and the implication for cancer.” Current opinion in oncology., U.S. National Library of Medicine, Nov. 2013, ncbi.nlm.nih.gov/pubmed/24048020. Martin, Bronwen, et al. “Caloric restriction and intermittent fasting: Two potential diets for successful brain aging.” Ageing research reviews, U.S. National Library of Medicine, Aug. 2006, ncbi.nlm.nih.gov/pmc/articles/PMC2622429/. Johnstone, A. “Fasting for weight loss: an effective strategy or latest dieting trend?” International journal of obesity (2005)., U.S. National Library of Medicine, May 2015, ncbi.nlm.nih.gov/pubmed/25540982. Goodrick, Charles L., et al. “Differential Effects of Intermittent Feeding and Voluntary Exercise on Body Weight and Lifespan in Adult Rats 1 | Journal of Gerontology | Oxford Academic.” OUP Academic, Oxford University Press, 1 Jan. 1983, academic.oup.com/geronj/article-abstract/38/1/36/570019. “Intermittent fasting vs daily calorie restriction for type 2 diabetes prevention: a review of human findings.” Translational Research, Mosby, 12 June 2014, sciencedirect.com/science/article/pii/S193152441400200X. Wegman, Martin P., et al. “Practicality of Intermittent Fasting in Humans and its Effect on Oxidative Stress and Genes Related to Aging and Metabolism.” Rejuvenation Research, Mary Ann Liebert, Inc., 1 Apr. 2015, ncbi.nlm.nih.gov/pmc/articles/PMC4403246/. Arnason, Terra G, et al. “Effects of intermittent fasting on health markers in those with type 2 diabetes: A pilot study.” World Journal of Diabetes, Baishideng Publishing Group Inc, 15 Apr. 2017, ncbi.nlm.nih.gov/pmc/articles/PMC5394735/. Aragon, A A, and B J Schoenfeld. 2013. “Nutrient Timing Revisited: Is There a Post-Exercise Anabolic Window?” Journal of the International Society of Sports Nutrition 10 (1) (January): 5. doi:10.1186/1550-2783-10-5. Chaouachi, A, J B Leiper, N Souissi, A J Coutts, and K Chamari. 2009. “Effects of Ramadan Intermittent Fasting on Sports Performance and Training: A Review.” International Journal of Sports Physiology and Performance 4 (4) (December): 419–434. De Bock, K, W Derave, B O Eijnde, M K Hesselink, E Koninckx, A J Rose, P Schrauwen, A Bonen, E A Richter, and P Hespel. 2008. “Effect of Training in the Fasted State on Metabolic Responses during Exercise with Carbohydrate Intake.” Journal of Applied Physiology 104: 1045–1055. doi:10.1152/japplphysiol.01195.2007. Dirks, A J, and C Leeuwenburgh. 2006. “Caloric Restriction in Humans: Potential Pitfalls and Health Concerns.” Mechanisms of Ageing and Development 127 (1) (January): 1–7. doi:10.1016/j.mad.2005.09.001. ncbi.nlm.nih.gov/pubmed/16226298. Febbraio, M A, A Chiu, D J Angus, M J Arkinstall, and J A Hawley. 2000. “Effects of Carbohydrate Ingestion before and during Exercise on Glucose Kinetics and Performance.” Journal of Applied Physiology 89 (6) (December): 2220–2226. ncbi.nlm.nih.gov/pubmed/11090571. Ganley, R M. 1989. “Emotion and Eating in Obesity: A Review of the Literature.” International Journal of Eating Disorders 8 (3): 343–361. Halberg, N, M Henriksen, N Soderhamn, B Stallknecht, T Ploug, P Schjerling, and F Dela. 2005. “Effect of Intermittent Fasting and Refeeding on Hormone Action in Healthy Men.” Journal of Applied Physiology 99: 2128–2136. doi:10.1152/japplphysiol.00683.2005. Harvie, M N, M Pegington, M P Mattson, J Frystyk, B Dillon, G Evans, J Cuzick, et al. 2011. “The Effects of Intermittent or Continuous Energy Restriction on Weight Loss and Metabolic Disease Risk Markers: A Randomized Trial in Young Overweight Women.” International Journal of Obesity 35 (5) (May): 714–727. doi:10.1038/ijo.2010.171. ncbi.nlm.nih.gov/pmc/articles/PMC3017674/?tool=pmcentrez. Hawks, S R, and J Gast. 1998. “Weight Loss Management: A Path Lit Darkly.” Health Education & Behavior 25 (3) (June 1): 371–382. doi:10.1177/109019819802500310. heb.sagepub.com/cgi/doi/10.1177/109019819802500310. Heilbronn, L K, A E Civitarese, I Bogacka, S R Smith, M Hulver, and E Ravussin. 2005. “Glucose Tolerance and Skeletal Muscle Gene Expression in Response to Alternate Day Fasting.” Obesity Research 13 (3) (March): 574–581. doi:10.1038/oby.2005.61. ncbi.nlm.nih.gov/pubmed/15833943. Heilbronn, L K, S R Smith, C K Martin, S D Anton, and E Ravussin. 2005. “Alternate-Day Fasting in Nonobese Subjects: Effects on Body Weight, Body Composition, and Energy Metabolism.” The American Journal of Clinical Nutrition 81 (1) (January): 69–73. Johnson, S, and K Leck. 2010. “The Effects of Dietary Fasting on Physical Balance among Healthy Young Women.” Nutrition Journal 9 (January): 18. doi:10.1186/1475-2891-9-18. ncbi.nlm.nih.gov/pmc/articles/PMC2864190/?tool=pmcentrez. Johnstone, A M. 2007. “Fasting - The Ultimate Diet?” Obesity Reviews 8 (3) (May): 211–222. doi:10.1111/j.1467-789X.2006.00266.x. ncbi.nlm.nih.gov/pubmed/17444963. Lemon, P W, and J P Mullin. 1980. “Effect of Initial Muscle Glycogen Levels on Protein Catabolism during Exercise.” Journal of Applied Physiology 48 (4) (April): 624–629. ncbi.nlm.nih.gov/pubmed/7380688. Longo, V D, and M P Mattson. 2014. “Fasting: Molecular Mechanisms and Clinical Applications.” Cell Metabolism 19 (2) (January): 181–192. doi:10.1016/j.cmet.2013.12.008. linkinghub.elsevier.com/retrieve/pii/S1550413113005032. Loy, S F, R K Conlee, W W Winder, A G Nelson, D A Arnall, and A G Fisher. 1986. “Effects of 24-Hour at Two Different Fast on Cycling Endurance Time Intensities.” Journal of Applied Physiology 61 (2): 654–659. Schabort, E J, A N Bosch, S M Weltan, and T D Noakes. 1999. “The Effect of a Preexercise Meal on Time to Fatigue during Prolonged Cycling Exercise.” Medicine and Science in Sports and Exercise 31 (3) (March): 464–471. ncbi.nlm.nih.gov/pubmed/10188753. Schoenfeld, B. 2011. “Does Cardio after an Overnight Fast Maximize Fat Loss?” Strength and Conditioning Journal 33 (1) (February): 23–25. doi:10.1519/SSC.0b013e31820396ec. content.wkhealth.com/linkback/openurl?sid=WKPTLP:landingpage&an=00126548-201102000-00003. Soeters, M R, N M Lammers, P F Dubbelhuis, T Ackermans, C F Jonkers-Schuitema, E Fliers, H P Sauerwein, J M Aerts, and M J Serlie. 2009. “Intermittent Fasting Does Not Affect Whole-Body Glucose, Lipid, or Protein Metabolism.” American Journal of Clinical Nutrition 2009 (90): 1244–1251. doi:10.3945/ajcn.2008.27327.1. Stote, K S, D J Baer, K Spears, D R Paul, G K Harris, W V Rumpler, P Strycula, et al. 2007. “A Controlled Trial of Reduced Meal Frequency without Caloric Restriction in Healthy, Normal-Weight, Middle-Aged Adults.” The American Journal of Clinical Nutrition 85 (4) (April): 981–988. Varady, K A. 2011. “Intermittent versus Daily Calorie Restriction: Which Diet Regimen Is More Effective for Weight Loss?” Obesity Reviews 12 (7) (July): e593–601. doi:10.1111/j.1467-789X.2011.00873.x. ncbi.nlm.nih.gov/pubmed/21410865. Varady, K A, S Bhutani, E C Church, and M C Klempel. 2009. “Short-Term Modified Alternate-Day Fasting: A Novel Dietary Strategy for Weight Loss and Cardioprotection in Obese Adults.” American Journal of Clinical Nutrition 90: 1138–1143. doi:10.3945/ajcn.2009.28380.1. Varnier, M, P Sarto, D Martines, L Lora, F Carmignoto, G P Leese, and R Naccarato. 1994. “Effect of Infusing Branched-Chain Amino Acid during Incremental Exercise with Reduced Muscle Glycogen Content.” European Journal of Applied Physiology 69 (1): 26–31. Wing, R R, M D Marcus, E H Blair, and L R Burton. 1991. “Psychological Responses of Obese Type II Diabetic Subjects to Very-Low-Calorie Diet.” Diabetes Care 14 (7): 596–599. On behalf of the Science Based Six Pack team, we are so confident that you will see the results you are looking for - just like so many others before you - that we are willing to let you test drive the program for a FULL 60 DAYS. If you aren't completely satisfied with how far you've come in the first or second month, contact the coaching staff by email or by phone for a complete 100% refund - no hassles, no questions asked. Rob Davis Last October I saw one of your side-by-side pictures of you before your transformation. That picture inspired me to make changes. I used to be miserably overweight but with your advice, I am well on my way to a new, healthier me. Your posts continue to inspire me on the journey. I have a great deal of respect for you and Amber and I'm grateful for what you're doing!!! Thank you for helping me achieve my dream body. Jeremy White Huge fan of fasting been doing it for a couple of months, I chose to do the intermittent fasting and have already seen incredible results in the way I look and feel, thanks Thomas good information!!! Donovan J Friesen I love fasted training - I feel as if I can watch my body change daily. I can't believe getting six pack abs was this easy, thank you so much Thomas! Mike Farkas Dear Thomas, I would think that those stretch marks are a great reminder of the amazing transformation you've gone through, and what you had to do to get where you are. To me, that's a medal of honor. Thanks for sharing your intermittent fasting perspective and personal life Thomas - I am more motivated than ever! Anthony Gore Love your YouTube channel. You're an inspiration to people who want to make a change in their lives. After following your advice, I now know that anything is achievable if you are willing to take the first step. Click Here to Get Your Science Based Six Pack! What Will Your Day Look Like On A Traditional Diet? What Will Your Day Look Like On An Intermittent Fasting Diet? Break your fast with a convenient snack that contains specific nutrients for enhancing the fat burning effects of your 16 hour fast as you now start your 8 hour eating period. Dinner means it’s time to replenish your body with a large, calorie-dense meal that’s loaded with foods you love - at home, or at your favorite restaurant - guilt free! Enjoy life - Enjoy your social life with drinks and foods you love all the way til midnight... Minus the guilt, minus the unwanted weight gain! What Makes This Intermittent Fasting Program More Effective Than Any Other Diet Out There? *Not at all! In fact, the practice of intermittent fasting has been used for centuries for its wide variety of health benefits such as general weight management, cellular repair, enhanced brain function, immunity, and even to increase one’s lifespan (1, 2, 3, 4, 5, 6). *Intermittent fasting is popular for a reason, and that's because it's not just another diet, it's a healthy lifestyle change that literally transforms the mechanisms within your body that allow you to become a self-sufficient fat burner. *According to a 2014 review of the scientific literature, intermittent fasting can cause weight loss of 3-8% over 3-24 weeks (7). The study showed that individuals also lost 4-7% of their waist circumference, which indicates that they lost lots of belly fat, the harmful fat in the abdominal cavity that causes disease. *This science based plan is particularly unique because it’s a designed as a complete lifestyle plan - meaning it also incorporates an exercise course to compliment the benefits of following this pattern of eating - making it truly unique to any other typical “fat loss diet” available. *It’s worked for many men like you before! So many men turn to intermittent fasting because of the simplicity it brings to their daily lives… No more hassling with breakfast, wasting hours in the kitchen preparing meals in advance, or having to eat every 2-3 hours. *Upon starting, many find themselves more energetic, more focused and productive during the day - Plus, hunger cravings are diminished meaning far less food distractions are experienced. *And since your scheduled eating periods are later in the day, that means you get to enjoy eating the foods you love when you have the opportunity to relax after a long, busy day. *The first thing that you need to know is that intermittent fasting is NOT a diet. You still eat your normal amount of food, you just eat it in a smaller time frame, referred to as your “eating period”. *It is simply a plan telling you when you can eat and when you cannot eat. Since you spend more time fasting than you do eating, it gives your body a chance to tap into its stored fat for fuel. *Based on the numerous benefits you’re about to discover, intermittent fasting is really meant for anyone who is serious about improving their health and losing weight without overhauling their diet… or making any drastic behavior changes. Technically, you don’t need to change anything about your diet to benefit from intermittent fasting , which makes it very appealing to many men. *Firstly, unlike most intermittent fasting programs which don’t provide guidelines for what to eat during your eating periods, I’ve included for you my personal “Fast Break Strategy” - a simple method of breaking your fast with specific nutrients that research has shown can extend the fat-burning effects of your fast - well into your eating period! So that way you can enjoy the foods you really love while being able to reach your goals. *I’ve also provided two plans - a ‘Base Track’ plan which is a more flexible intermittent fasting schedule that is perfect for men who are new to following a nutrition plan. Additionally, I’ve included my ‘Fast Track’ plan, which is my personal intermittent fasting plan that I used to transform my own body - it’s comes with a macronutrient-based meal plan and over a dozen different “Fast Break Recipes” including convenient mini-meal options, super satisfying blow out meals and even desserts! *Finally, I’ve incorporated a uniquely specialized exercise regimen that compliments the effects of my intermittent fasting eating course and allows you to dig even deeper into your fat stores to overhaul your weight loss goals even faster. *As far back as the 1930s, scientists have been exploring the many benefits of a “fasted” lifestyle approach. During that time, one American scientist found that significantly reducing calories for set periods of time promoted longer, healthier lifespans while reducing the risk of common diseases (8). *Many researchers conclude that fasting may also increase the body’s responsiveness to your fat burning hormone, which regulates blood sugar and helps control hunger - both of which contribute to enhancing health and quality of life (9). *As for your muscle - several studies on intermittent fasting have also shown that a certain protein-synthesis boosting hormone dramatically increases as a direct result from fasting. Having higher levels of this hormone helps with muscle building. Bigger muscles means more strength and more endurance and as you can tell, these are characteristics that every guy looking to put on lean size would cherish. *Fatigue, brain fog, and inability to stay on task are common symptoms that people experience daily which are in fact made worse by fluctuating your blood sugar levels constantly throughout the day (eating every 2-3 hours is largely the culprit). *However, intermittent fasting may hold the answer for you. Studies show that intermittent fasting actually releases a hormone called Noradrenaline - or better known as the “fight or flight” hormone. This hormone keeps the body and mind in a heightened state of alertness, sharpens your focus and contributes to feeling higher levels of energy during the day. Lower fat burning hormone levels and increased amounts of noradrenaline together have been shown to increase the breakdown of body fat and facilitate its use for energy. *Good news: The answer is no. While the idea of “fasting” may make you think of “starving”, intermittent fasting is more about cutting way back on calories for short time periods. Doing so will affect your hunger and cravings over time in a positive way. *The idea: As your body adjusts, you become satisfied more easily with smaller portions because your stomach capacity shrinks - along with your appetite. Meaning you still can enjoy the foods you love - just in a smaller window of time. Which makes it very appealing to many people. *Well, ask yourself this question: Have the diets or weight loss advice you tried to follow in the past worked? If you didn’t experience any positive results, then that’s your body’s way of telling you that you need to try a different approach. Well I hate to break it to you… But that’s not always true. You see, if you are constantly eating during the day and pig out at night time, well then yes, logically you would pack on fat. You can actually improve the results you will see by eating this late. If you are a guy who breaks this rule because you don’t have time to prepare a morning meal or perhaps you just don’t have much of an appetite when you wake up - Don’t sweat it! During your nightly sleep cycle, your body goes from a ‘fed state’ to a ‘fasted state’ - where it’s no longer breaking down or absorbing nutrients from the food you ate. That means your body will naturally begin tapping into stored energy (body fat) for fuel. However, when you decide to eat first thing in the morning, you’re literally breaking your fast (break-fast), and instead, triggering your fat burning hormone levels to rise. Your fat burning hormone is the hormone responsible for fat storage. So, if we ramp up our fat burning hormone levels first thing in the morning, we are sending our bodies right into fat storing mode. And when our fat burning hormone levels are low, we can continue to tap into stored fat and burn it for fuel all day long. It’s hard to stay productive when you’re constantly interrupting yourself to eat. And it all ties back to your master fat-storing hormone. In this state, your fat burning hormone level remains high all day long… Which means you’re practically in fat storing mode all day long. And like I mentioned earlier, we need to have low fat burning hormone levels in order to achieve that. And for me, sacrificing the enjoyment of food wasn’t really the way I wanted to live my life. Most diets condition you to feel guilty about eating the foods you love… Or cause you to feel like you’re a failure when you give into temptation and splurge a little. But like I said, fasting isn’t a diet… It’s a way of scheduling the timeframe in which you eat so you can reach your natural fat-burning state. You just have to modify when it is that you eat. 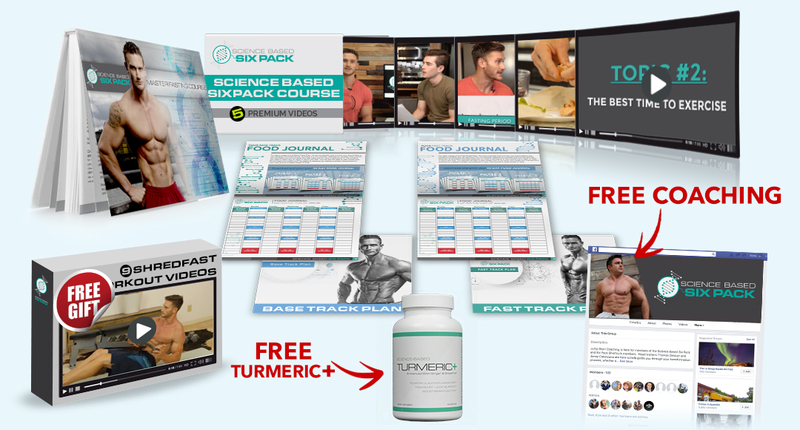 There’s a very specific balance - and that’s what my Science Based Sixpack Program is designed to provide to men who are finally ready to lose weight while feeling completely satisfying in the process. Click Here And Break The Rules! Using the "Time Under Tension' principle, you'll never have to keep count of reps again - Instead, you'll feel the burn by syncing up with the built-in timer within each workout video so all you have to do is simply watch, follow and repeat. The ShredFast Workout Course is my at-home total body training system that will complement the weight loss effects of your intermittent fasting schedule... and help you reach your transformation goals even faster. This program utilizes a principle called ‘Time Under Tension’ (TUT)which emphasizes the total amount of time a muscle is under tension. Training for time instead of counting reps allows you to maximize glycogen depletion and release more stored fat from the body because your muscles are working non-stop. Because the effects of training with TUT are so powerful for conditioning your body to burn stored energy, there’s no need to use any expensive gym equipment or even leave your home - In the ShredFast course, you will learn to use your body as the perfect ‘exercise machine’ for sculpting your ideal physique. PLUS A "FREE ONE MONTH SUPPLY OF TURMERIC PLUS FORMULA” TO HELP ENHANCE THE RESULTS OF FASTING AND BETTER OVERALL HEALTH. I want to congratulate and thank you for your interest in transforming your body and mind with my Science Based Six Pack intermittent fasting course. As a trainee, I am confident that once you dedicate and commit yourself to this step-by-step intermittent fasting lifestyle, you'll never turn back - I know I never did. Cheers to a new outlook, a new body and to six pack abs! Thanks again, and I can't wait to start your transformation journey as your coach!